Oak is one of the most popular woods and can be used to create just about any piece of furniture from beds to bookcases. It is incredibly versatile and it’s colour palette, grain and texture mean that it’s The Wooden Furniture Store’s most popular wood type, with more oak furniture items sold than any other. We thought we’d delve a bit deeper and find out a bit more about the most loved tree species in the UK. 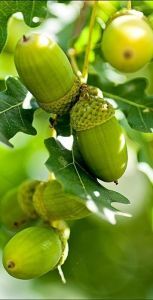 Oaks produce one of the hardest and most durable timbers on the planet, even its Latin name Quercus Robur, means strength. Oak was held in high regard and was sacred to the Greek God Zeus, the Roman God Jupiter and Celtic God Dagda. Druids frequently practised and worshiped their rituals in oak groves and cherished the mistletoe that grew in oak tree branches. 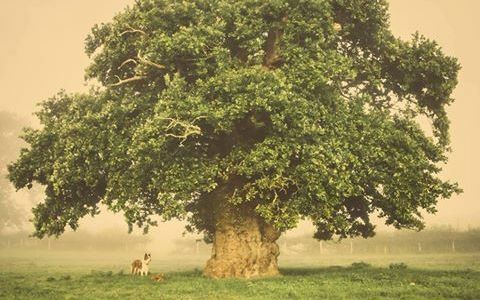 Royalty has had a long association with oak trees too, ancient kings adorned themselves with crowns of oak leaves, King Charles II hid in an oak tree at Boscobel House and Roman Emperors were presented with crowns of oak leaves during victory parades. 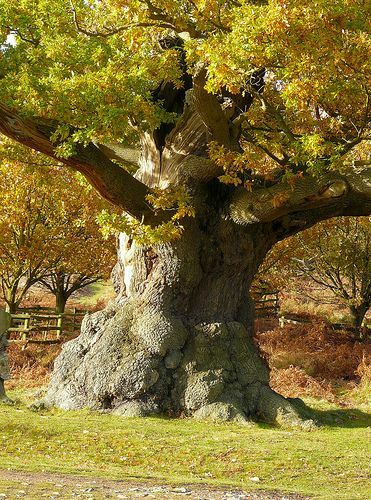 In England, the oak has for centuries been a national symbol of strength and survival. It has played an important part in our culture – couples were wed under ancient oaks in Oliver Cromwell’s time, the festive Yule Log was traditionally cut from oak, it featured on the 1987 pound coin and is the inspiration for the emblem of many environmentally focused organisations, including the Woodland Trust. Oak has been used in construction for centuries, oak planking was commonly on high status Viking long ships in the 9th and 10th century and wide, quarter-sawn boards of oak were prized in the middle ages for use in interior paneling of prestigious buildings such as the debating chamber of the House of Commons. 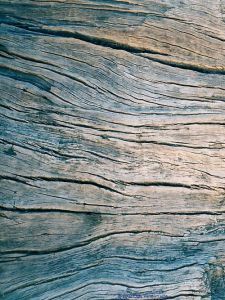 Today, oak is of course used for furniture making, for flooring, buildings and for barrels to age wine, sherry and spirits. Why is oak used to make furniture? 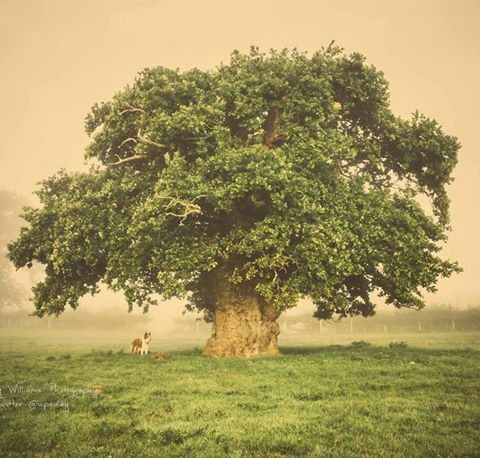 An oak tree grows slowly, developing strength, character and beautiful grain markings over many years. Acorns and oak leaves contain tannic acid which guard the tree from insect and fungal attack. 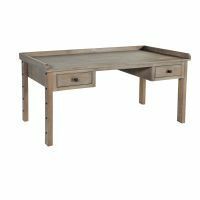 Oak is one of the most versatile and durable woods there is and well made oak solid furniture will last a lifetime. 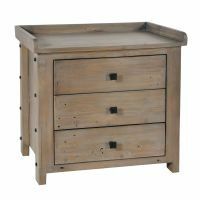 Oak furniture is more expensive that other woods types but tends to look better with age and give natural warmth and character to your home. Oak is a very adaptable wood that can be used to create both modern and traditional pieces of furniture. It comes in many tones, colours and finishes and there is a type to suit every style of home. The beautiful grain of the solid oak wood can be enhanced by the design of the oak furniture to show the oak wood at its natural best. 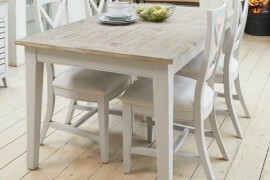 For example our most popular range is Mobel Oak, which is made from premium light coloured oak. The collection features clean lines, is practical, stylish and hard wearing – perfect for the living room or home office. 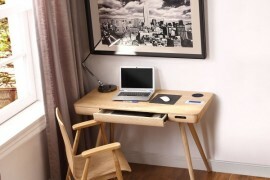 Each piece of furniture is finished with a durable satin varnish and brushed steel handles. For a completely different look, our Heyford Rough Sawn oak collection is much darker and would make more of a contemporary home decor statement. 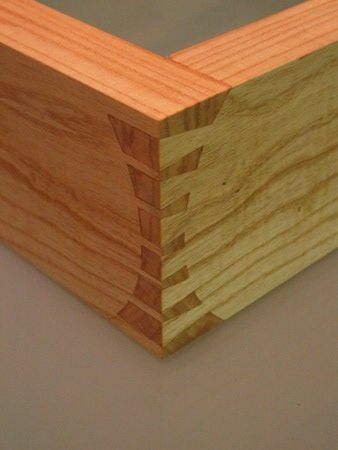 Each piece is crafted from solid oak, which is given a stained wax finish to highlight the unique knots and grain of the wood. 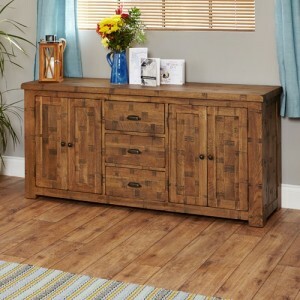 What should you look in a well designed piece of oak furniture? All of our solid oak furniture is made to a high standard, using techniques that are centuries old, to produce beautiful pieces which are strong and hard wearing. 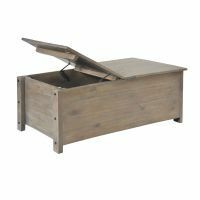 The drawers in our furniture are made using dovetail joints which not only look great but also add strength to the furniture. 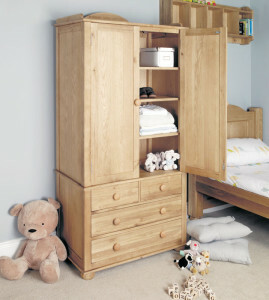 All of the backs and drawers bases are made from the same solid oak which means that the furniture is built to last. Each piece of furniture is fastened together with no gaps and it should be free from any indentations and scrapes on the surface. 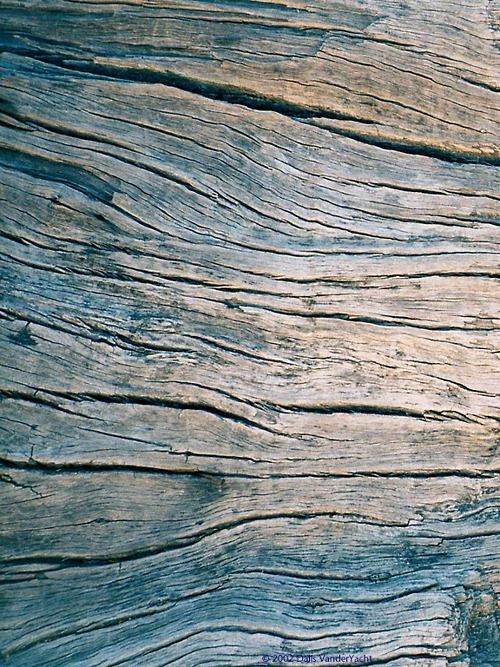 Although oak has a coarse texture, the surface of the furniture should be smooth and have a uniform appearance. The wood grain should be noticeable through the finish and have a warm look, just like our Olten Oak range – although each piece has has a waxed finish to protect the wood, the unique grain shines through. Finally, handles and fittings are of the same high quality as the rest of the piece and complement the design. 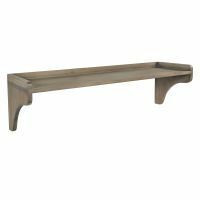 Lots of the pieces in our nursery range – Moppet Oak, are finished with drawer stoppers to prevent them from being pulled out by little ones. Not only do the pieces looks gorgeous but they are also very resistant to the daily ordeals of nursery life! 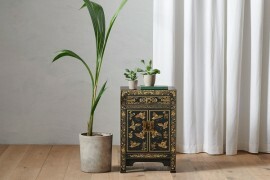 All furniture sold by The Wooden Furniture Store comes from managed, sustainable plantations. For wood to be classed as sustainable, it must be harvested correctly which involves planting a tree to replace one which has been cut down. In addition, it’s vital that there hasn’t been any damage to the neighbouring environment in which the trees were taken from. Our timber suppliers manage the landscape to prevent damage to Eco-systems, watersheds, wildlife and the tree themselves, taking a long term rather than short term view of the resource. 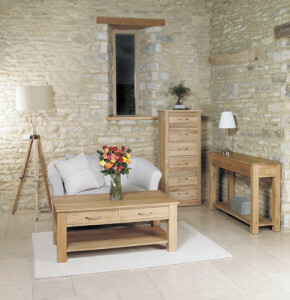 With a little bit of care and attention, your oak furniture will last a lifetime. Our top care tips are to use a high quality beeswax polish that will nourish the timber and ensure that the grain always looks its best. To avoid placing your oak furniture in direct sun light as this will make it fade and don’t put it near a radiator so that the joints don’t split or weaken. 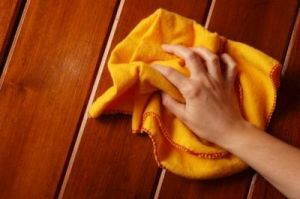 Finally, wipe away any spills immediately using a damp cloth, then dry off with another clean and dry lint free cloth. Convinced yet that oak is a great material for furniture? Why not take a look at our ranges? 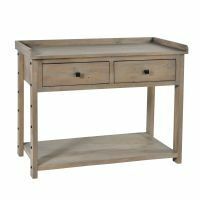 And for hassel free shopping, everything at The Wooden Furniture Store is delivered fully assembled and is designed to be a solid, sturdy, piece of well designed furniture whether you’re looking for a TV cabinet or a shoe cupboard.